About samples, giving examples: Optimized Single Molecule Localization Microscopy. Jimenez A, Friedl K, Leterrier C.
Self-repair protects microtubules from their destruction by molecular motors. Triclin S, Inoue D, Gaillard J, Min Htet Z, De Santis M, Portran D, Derivery E, Aumeier C, Schaedel L, John K, Leterrier C, Reck-Peterson S, Blanchoin L, Thery M.
Actomyosin-mediated nanostructural remodeling of the presynaptic vesicle pool by cannabinoids induces long-term depression. McFadden MH, Xu H, Cui Y, Piskorowski RA, Leterrier C, Zala D, Venance L, Chevaleyre V, Lenkei Z. Combining 3D single molecule localization strategies for reproducible bioimaging. Cabriel C, Bourg N, Jouchet P, Dupuis G, Leterrier C, Baron A, Badet-Denisot M-A, Vauzeilles B, Fort E, Lévêque-Fort S.
Almada P, Pereira P, Culley S, Caillol G, Boroni-Rueda F, Dix CL, Charras G, Baum B, Laine RF*, Leterrier C*, Henriques R*. Nature Communications, 2019 Mar 15;10(1):1223. NanoJ: a high-performance open-source super-resolution microscopy toolbox. Laine RF, Tosheva KL, Gustafsson N, Gray RDM, Almada P, Albrecht D, Risa GT, Hurtig F, Lindås A-C, Baum B, Mercer J, Leterrier C, Pereira PM, Culley S, Henriques R.
Journal of Physics D: Applied Physics, 2019 Jan 29. Processive flow by biased polymerization mediates the slow axonal transport of actin. Chakrabarty N, Dubey P, Tang Y, Ganguly A, Ladt K, Leterrier C*, Jung P*, Roy S*. The Journal of Cell Biology, 2019 Jan 7;218(1):112–24. The functional architecture of axonal actin. 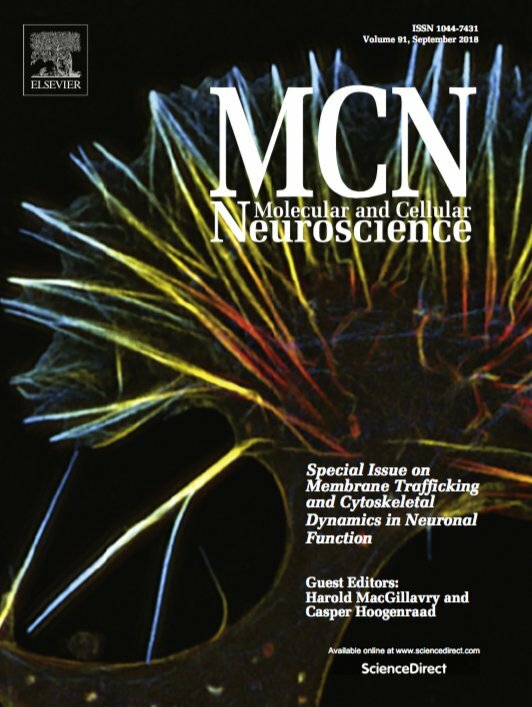 Molecular and Cellular Neuroscience, 2018 Sep;91:151-159. The axon initial segment: an updated viewpoint. 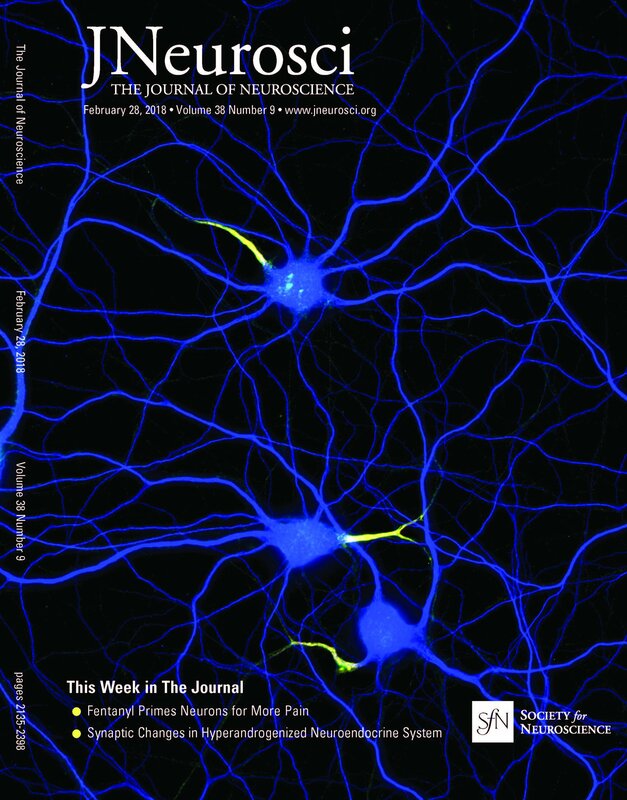 The Journal of Neuroscience, 2018 Feb 28;38(9):2135–2145. Quantitative mapping and minimization of super-resolution optical imaging artifacts. Localized Myosin II Activity Regulates Assembly and Plasticity of the Axon Initial Segment. Berger SL, Leo-Macias A, Yuen S, Khatri L, Pfennig S, Zhang Y, Agullo-Pascual E, Caillol G, Zhu M-S, Rothenberg E, Melendez-Vasquez CV, Delmar M, Leterrier C, Salzer J.L. The nano-architecture of the axonal cytoskeleton. Leterrier C*, Dubey P, Roy S*. Nature Reviews Neuroscience, 2017 Dec;18(12):713-726.
αII spectrin forms a periodic cytoskeleton at the axon initial segment and is required for nervous system function. Huang CY, Zhang C, Ho TS, Oses-Prieto J, Burlingame AL, Lalonde J, Noebels JL, Leterrier C, Rasband MN. The Journal of Neuroscience, 2017 Nov 22;37(47):11311-11322. 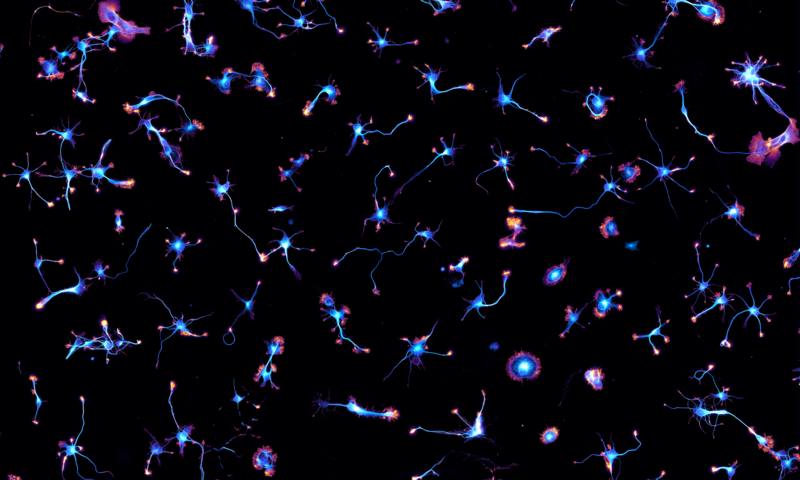 An αII spectrin based cytoskeleton protects large diameter myelinated axons from degeneration. Huang CY, Zhang C, Zollinger DR, Leterrier C, Rasband MN. The Journal of Neuroscience, 2017 Nov 22;37(47):11323-11334. Hsc70 chaperone activity is required for the cytosolic slow axonal transport of synapsin. Ganguly A, Han X, Das U, Wang L, Loi J, Sun J, Gitler D, Caillol G, Leterrier C, Yates JR 3rd, Roy S.
Developmental changes in expression of βVI-spectrin splice variants at axon initial segments and nodes of Ranvier. Yoshimura T, Stevens S, Leterrier C, Stankewich M, Rasband M.N. Frontiers in Cellular Neuroscience, 2017 10:304. The axon initial segment, 50 years later: a nexus for neuronal organization and function. Current Topics in Membranes, 2016;77:185-233. Nanoscale architecture of the axon initial segment reveals an organized and robust scaffold. Leterrier C*, Potier J, Caillol G, Rueda-Boroni F, Debarnot C, Dargent B. Cell Reports, 2015 Dec 29;13(12):2781-93. 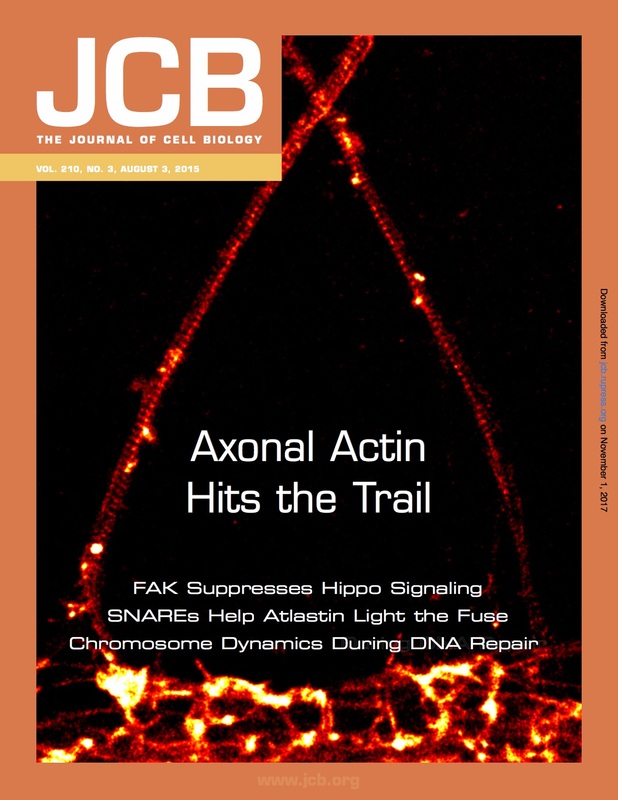 A dynamic formin-dependent deep F-actin network in axons. Ganguly A, Tang Y, Wang L, Ladt K, Loi J, Dargent B, Leterrier C, Roy S.
The Journal of Cell Biology, 2015 Aug 3;210(3):401-17. Papandréou M-J, Vacher H, Fache M-P, Klingler E, Rueda-Boroni F, Ferracci G, Debarnot C, Pipéroglou C, Garcia Del Caño G, Goutebroze L, Dargent B. Journal of Neurochemistry, 2015 Aug;134(3):527-37. Hien YE, Montersino A, Castets F, Leterrier C, Filhol O, Vacher H, Dargent B.
FEBS Letters, 2014 Sep 17;588(18):3403-8. No Pasaran! Role of the axon initial segment in the regulation of protein transport and the maintenance of axonal identity. Seminars in Cell & Developmental Biology, 2014 Mar;27:44-51. Simon AC, Loverdo C, Gaffuri A-L, Urbanski M, Ladarre D, Carrel D, Rivals I, Leterrier C, Benichou O, Dournaud P, Szabo B, Voituriez R, Lenkei Z. Journal of Molecular Cell Biology, 2013 Aug;5(4):250-65. Motor endplate disease affects neuromuscular junction maturation. Caillol G, Vacher H, Musarella M, Bellouze S, Dargent B, Autillo-Touati A.
European Journal of Neuroscience, 2012 Aug;36(4):2400-8. EB3 and EB1 link microtubules to ankyrin G in the axon initial segment. Leterrier C, Vacher H, Fache M-P, Angles d’Ortoli S, Castets F, Autillo-Touati A, Dargent B. Proceedings of the National Academy of Sciences, 2011 May 24;108(21):8826-31. Determinants of voltage-gated sodium channel clustering in neurons. Leterrier C, Brachet A, Dargent B, Vacher H.
Seminars in Cell & Developmental Biology, 2011 Apr;22(2):171-7. Carrel D, Simon A, Emerit MB, Rivals I, Leterrier C, Biard M, Hamon M., Darmon M, Lenkei Z.
Brachet A, Leterrier C, Irondelle M, Fache M-P, Racine V, Sibarita J-B, Choquet D, Dargent B. The Journal of Cell Biology, 2010 Oct 18;191(2):383-95. Voltage-gated sodium channel organization in neurons: Protein interactions and trafficking pathways. Leterrier C,Brachet A, Fache M-P, Dargent B.
Neuroscience Letters, 2010 Dec 10;486(2):92-100. Clathrin-dependent APP endocytosis and Abeta secretion are highly sensitive to the level of plasma membrane cholesterol. Cossec J-C, Simon A, Marquer C, Moldrich RX, Leterrier C, Rossier J, Duyckaerts C, Lenkei Z, Potier M-C.
Biochimica et Biophysica Acta (BBA), 2010 Aug;1801(8):846-52. Mapping of domains on HIV envelope protein mediating association with calnexin and protein-disulfide isomerase. Papandréou M-J, Barbouche R, Guieu R, Rivera S, Fantini J, Khrestchatisky M, Jones IM, Fenouillet E.
The Journal of Biological Chemistry, 2010 Apr 30;285(18):13788-96. The somatostatin 2A receptor is enriched in migrating neurons during rat and human brain deve-lopment and stimulates migration and axonal outgrowth. 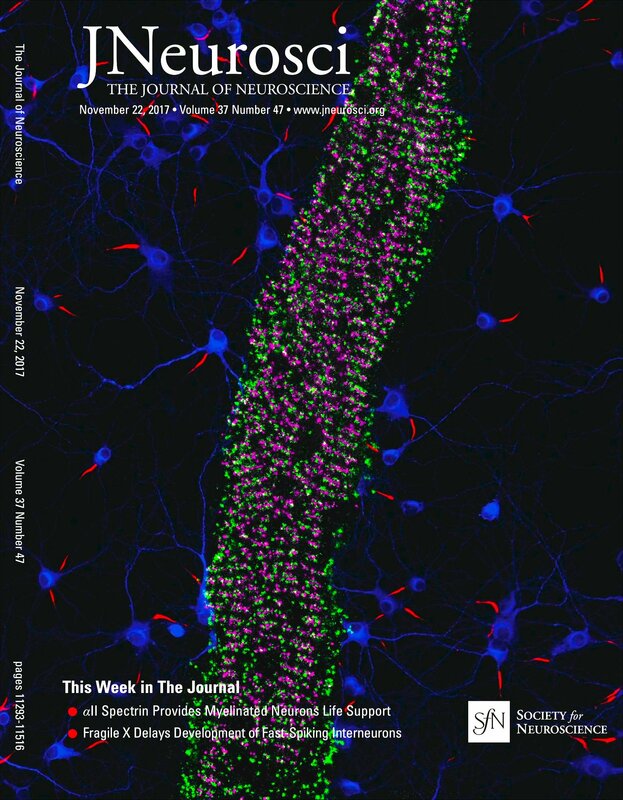 Le Verche V, Kaindl AM, Verney C, Csaba Z, Peineau S, Olivier P, Adle-Biassette H, Leterrier C, Vitalis T, Renaud J, Dargent B, Gressens P, Dournaud P.
Casein kinase 2 contributes to the organization of sodium channel in axonal membranes by regulating interactions with ankyrin G.
Bréchet A, Fache M-P, Brachet A, Ferracci G, Baude A, Irondelle M, Perreira S, Leterrier C, Dargent B. The Journal of Cell Biology, 2008 Dec 15;183(6):1101-14. The type-1 cannabinoid receptor, highly expressed in embryonic cortical neurons axons, negatively regulates neurite growth in vitro. Vitalis T, Lainé J, Simon A, Roland A, Leterrier C, Cases O, Lenkei Z.
European Journal of Neuroscience, 2008 Nov;28(9):1705-18. Constitutive activation drives compartment-selective endocytosis and axonal targeting of type 1 cannabinoid receptors. Leterrier C, Lainé J, Darmon M, Boudin H, Rossier J, Lenkei Z. Expression of Nav1.6 sodium channels by Schwann cells at neuromuscular junctions: role in the motor endplate disease phenotype. Musarella M, Alcaraz G, Caillol G, Boudier J-L, Couraud F, Autillo-Touati A.
Leterrier C, Bonnard D, Carrel D, Rossier J, Lenkei Z. The Journal of Biological Chemistry, 2004 Aug 20;279(34):36013-21.